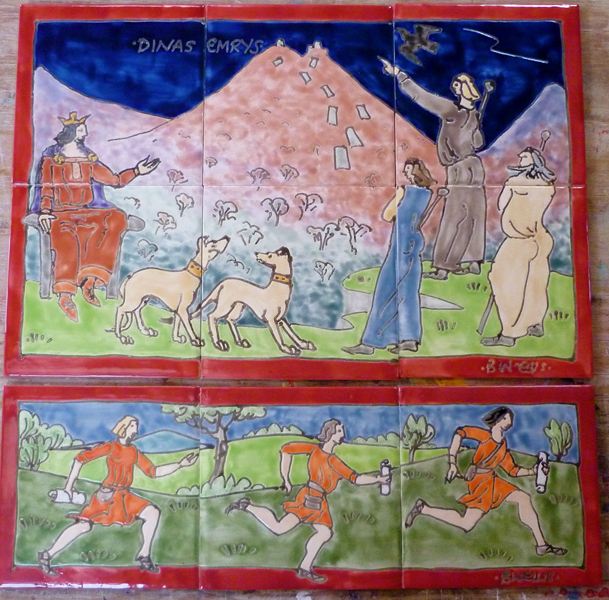 Tiles can tell a story as well as a strip cartoon. 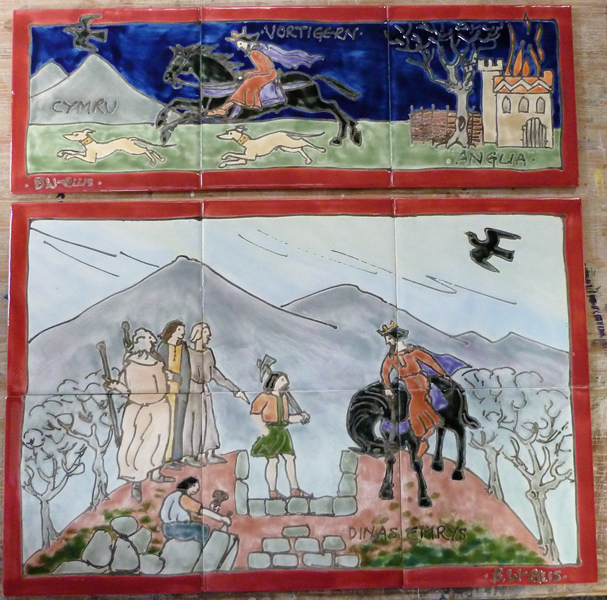 This project was based round a local Snowdonia legend of Merlin and the red and white dragons. It was designed to create a local atmosphere in the wedding venue at Llyn Gwynant campsite. To be flexible all the panels were framed so they could be moved round if needed. Project for framed tile panels. 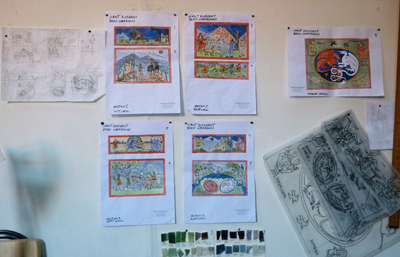 Sketches, coloured scale drawings, and full sized working drawings+ glaze samples below. Vortigern flees England to Snowdonia, Wales. He chooses a castle site at Dinas Emrys, but the castle subsides. Vortigern takes advice and sends out messengers. 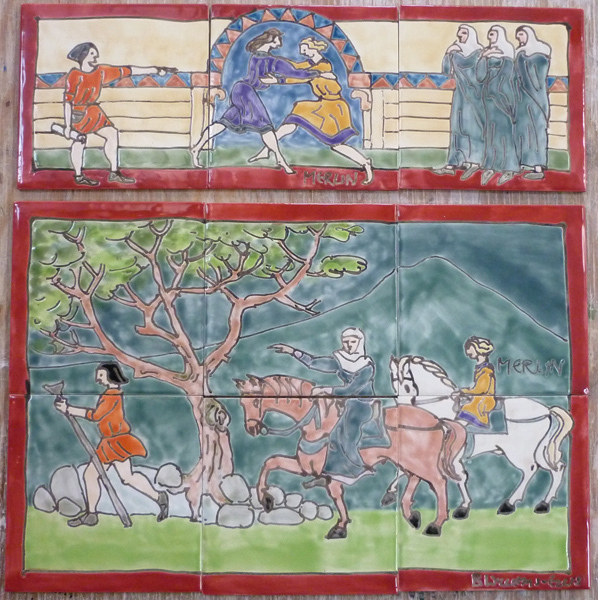 Messengers find Merlin and return with him and his mother. Merlin explains that the subsidence of the castle is caused by the 2 dragons below. 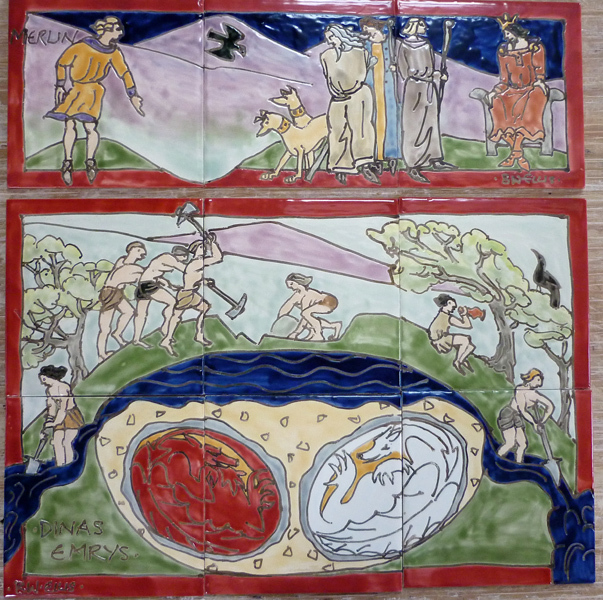 Vortigern digs down and discovers 2 eggs containing dragons in the bed of a pool in the cave below. 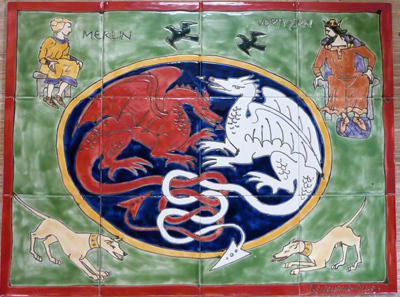 The fighting red and white dragons watched by Merlin and king Vortigern. Then Merlin tells of the future. 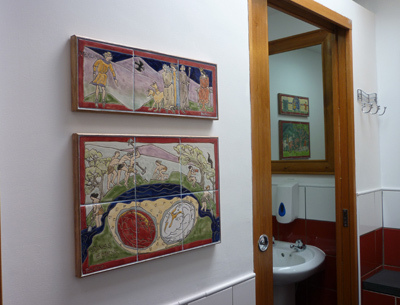 The framed panels are used as decorative narrative.